Playground Slide Coloring Pages For Kids | Coloring for Kids. 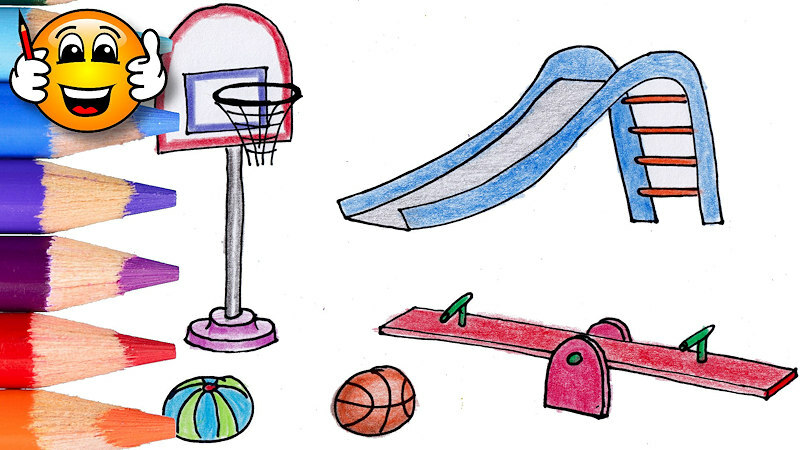 Learn to draw and color a playground filled with a slide, see-saw and basketball hoop. We then color them in with crayons. This is a great tutorial video for children to learn colors.